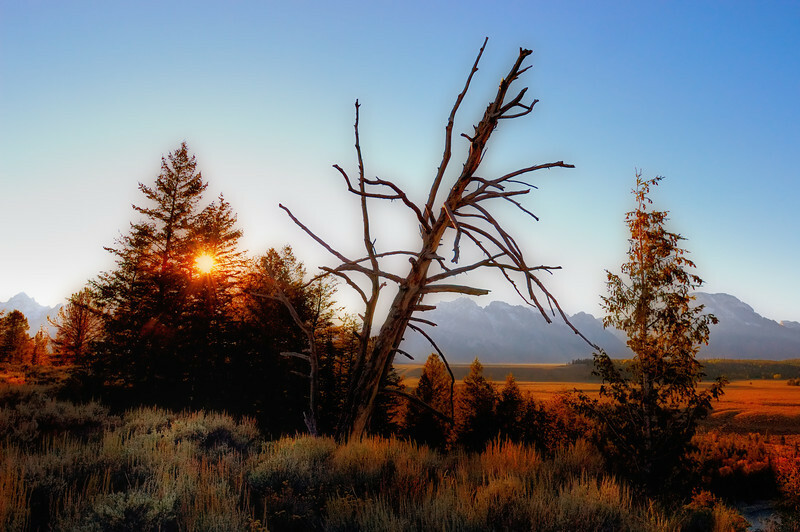 A landscape from our trip to the Tetons in Wyoming this past summer. The large bench rising below the mountains in the background is one side of the ancient Snake River Channel. For this image I used the Orton technique and Photomatix tone-mapping (not HDR). I am really happy with how this one turned out, it gives me a strong sense of place. I also like the Lord of the Rings feel going on here. I posted a more straight version below, let me know if you have a strong preference. I had a heck of time deciding if I prefer this version or not.